Welcome to the sun, sand, sea and breeze at Tambaú Hotel, a beach hotel located in João Pessoa, Paraíba, in the land where the sun rises first, in the Northeast region of Brazil. Built on the sands of Tambaú beach, the city's postcard development offers a fascinating view of the beautiful coastline of the capital of Paraíba and boasts of its spectacular and unique circular architecture, an attraction for visitors from all over the world. 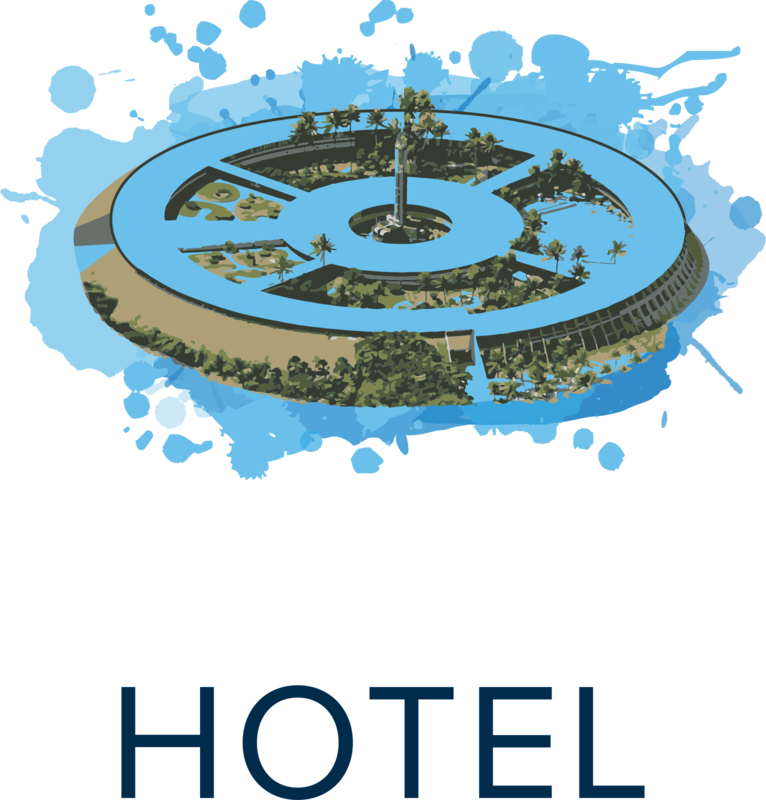 Discover Tambaú Hotel, which is 23 km from the airport and only 9 km from the center of João Pessoa, "the second greenest city in the world". A perfect beach hotel for a family holiday and an unrivaled destination for tropical travel, the Tambaú Hotel offers 173 apartments with ocean or internal garden views. Because the resort is literally right on the beach, the superior apartments convey the feeling of being in the middle of the ocean or aboard a cruise with waves and ocean breezes. Relax and enjoy the leisure facilities offered which include a large pool complex, sauna, game room, hammock room, tennis courts, beach volleyball court, restaurant and bars. Plan your next event or meeting at Tambaú Hotel, as it offers a full convention center with spacious meeting rooms, an auditorium for up to 522 guests, business center and professional support for your special event. Tours for guests, which are in conventions, can be prepared in advance at the travel agency located in the lobby of the venture. The best beaches are close to the hotel Tambaú beach hotel. Guests enjoy 40 km of white sandy beaches and warm water in the most easterly city in Brazil. João Pessoa is proud to be one of the sunniest cities in the world. Enjoy the beautiful gardens, refreshing areas and pools of Tambaú Hotel. Along with the predominantly pleasant climate, Tambaú Hotel is a year-round beach hotel offering an informal tropical holiday atmosphere. If the child is accompanied by parents or guardians, it is mandatory to present a document proving this relationship at check-in. If you are a non-parent or relative of any other degree (such as uncles, cousins, grandparents, etc. ), you will be required to submit an authorization from the parents of the child with a notarized signature.